Blu Products one of the pioneer provider in budget smartphone in United States, recently introduced Windows Phones. 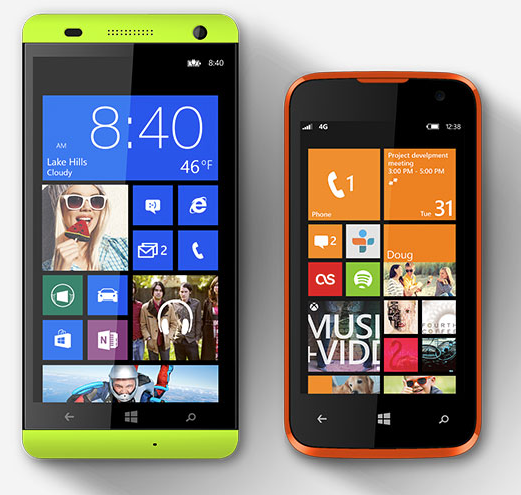 The Blu Windows Phones lineup will expand further as new smartphones will be announced very soon. Just like how the Blu Android Phones were available in the budget range, the Blu WP phones too will be made available in the budget range. The Blu Win JR is priced at $173.99 and be ordered directly from Amazon.com. The Blu Win JR is priced at $89 and you can buy it directly from Amaozn.com. Both of these phones comes unlocked and can be used with T-Mobile: MetroPCS, Lyca, Speedtalk, Go Smart, Simple Mobile, Net10, Straight Talk, Solavei, Ultra Mobile, Telcel America, Walmart Family Mobile.